Do Kids Care About Writing? Years ago, I discussed this question with my writing group as we threw around the idea of creating a writing conference for teens. We wanted to get kids excited about books—whether reading them or writing them. Would they just see it as more school? We wanted to see. At our first Teen Author Boot Camp (TABC) event, there were around 130 kids, which we thought was pretty good for a first time writing workshop. Four years later, that number had spiked up to 700 attendees. The feedback has been incredibly positive each year. In an environment where it’s okay to express themselves, kids have a lot to say. When a kid writes, they learn to better express themselves. Writing is the new cult for kids. They find a voice and a clan when they’re supported in writing. Yes, kids care about writing, especially when they have creative freedom. Why Do Kids Need Creative Writing? Writing can be that spoonful of sugar to help the medicine of life go down, but creative writing is also a good way to encourage critical thinking, and foster a sense of empowerment. It prepares them to be successful communicators in volatile times when effective communication is crucial. For many kids, self-expression has been reduced to a status update. Online is a constant flow of sounds and echoes as life is distilled into a series of endless, expected memes and selfies. “Social media has colonized what was once a sacred space occupied by emptiness: the space reserved for thought and creativity,” actor and rapper Mahershala Ali says. A writing workshop is an opportunity for them to turn off that noise and the demand that they mirror what they see, and instead, reflect what’s inside. Remember that kids are still finding their voice. Often when in a class-like setting they’re more concerned about getting it “right” or what they have to do to get an “A.” There’s a lot to inhibit kids from participating. It’s up to you to set the stage for creativity. It’s a good idea to provide for auditory, kinetic and verbal learners in your workshop. Don’t insist they always sit with hands folded at their desks. Let it get a little loud sometimes. Allow them to move around, talk in groups and try some hands on activities. If you’re prepared with activities and ideas, it’s okay to let the kids riff a little. Preparation open to improvisation is how creativity works. E.E. Cummings said, “Once we believe in ourselves, we can risk curiosity, wonder, spontaneous delight or any experience that reveals the human spirit.” Kids believe in themselves when they’re validated and understood and are then more willing to reveal their human spirit. Kids enjoy talking and learning about themselves. Have them take a quick personality quiz or the color code test and let them tell their neighbor the results. More than likely they’ll identify some differences. This gives them subconscious permission to not have to sound the same when they write. Seeing and appreciating their uniqueness empowers kids to speak their mind and interpret things their own way. New York Times bestselling YA Author, Marie Lu presented an incredible keynote address at Teen Author Boot Camp where she encouraged kids to be fiercely themselves when they write. She told them, “Writing is your rebellion.” The loud applause after her statement testified to how much kids want their own voice. In the proper environment for creativity and with a basic understanding and appreciation of their own voice, kids are primed to tap into their own stories. This should be especially true in a writing workshop for kids. Let them think for themselves and pose their own questions. As you interact with students, resist imposing your voice on them. Appreciate the differences… this isn’t math. Allow kids to “flow write” first. Tell them not to worry about edits at this stage. Give feedback that encourages their process and then teach them how to find their own weaknesses before you point them out. Freedom to improvise allows creativity to grow, but so do limitations. There are many games and activities that give structure while giving freedom to think around the rules. Writing prompts are a “limitation” that will spark the imagination. They can be pictures, music, scene suggestions, dialog, or a question to get their minds going. Let the kids take a few minutes to write a sentence, story fragment, or bit of dialog for a writing prompt. Allow them to share what they wrote. Let them look at the prompt again and have them genre swap by writing about the same prompt again in a different genre than they did the first time (e.g., Horror, Romance, Fantasy, and Adventure). Play writing games that begin with, “And then…” or “Meanwhile…” Form teams to create story ideas to swap with other groups. Read the results aloud and discuss the outcomes compared to the original idea. These kinds of activities get kids excited to tell stories and help them recognize there are countless possibilities in the telling. Everyone likes to be recognized when they do something well. Incentives and opportunities to shine are great motivators. Writing contests and prizes encourage kids to create and achieve. 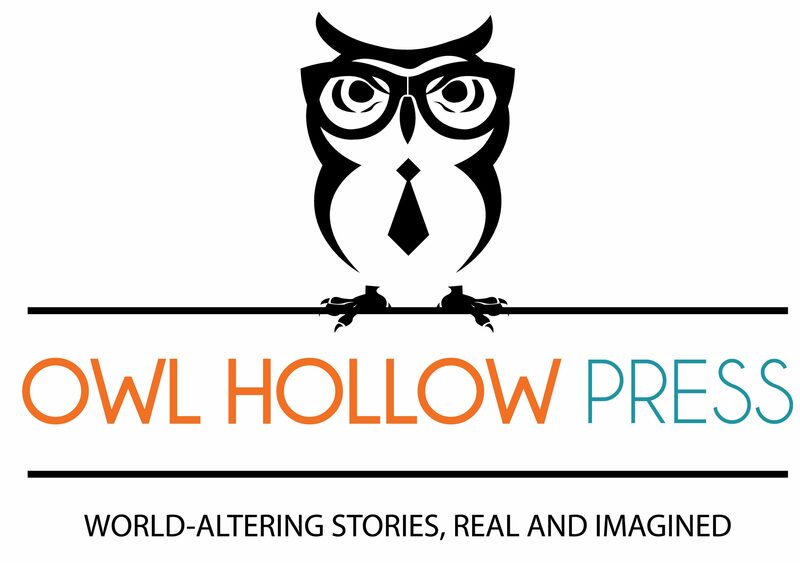 Last year, in addition to our yearly First Chapter Contest, Teen Author Boot Camp partnered with Owl Hollow Press and urged kids to submit short stories for an anthology. The result was a wonderful collection of high sea adventure tales and dozens of ecstatic, encouraged teens. They got to share the spotlight at a book signing with some New York Times bestselling authors including Kiersten White who wrote the foreword for their book. The kids were validated and inspired by their achievement. Offering a publishing opportunity may not be possible, but you could run a writing contest where the winning pieces are featured on your blog or in a newsletter. Any kind of reward helps some kids to reach inside themselves and pull out some incredible words. Writing workshops should be a two way conversation with opportunities to share on both sides. Let them share what they have written. Read aloud to them from books that resonate with you and give personal examples of things you have experienced or written. Pull out those old, embarrassing, dusty manuscripts and poems and let them enjoy your mortification. If you allow them to see your mistakes, they’ll feel safer making their own. When you have the class do a writing prompt, do it along with them. Walk the walk. If you offer feedback and rewrite suggestions- allow discussion and even disagreements. Some things they’ll have to learn over time or the hard way. But first, get them writing and enjoying the written word. A good writing workshop for kids can help them find their place in the world. Because writing and books are the conversation between the generations and the heartbeat of our collective consciousness. No matter the subject, topic, time, or place, writing can be relevant to kids in the world they live in now. For communication to cross the generation gap we have to know how and what kids think. We need to help them find their voice—not learn to echo ours. Creative writing is an excellent way to build communication bridges and foster individualization and lifelong learning. When a young person finds their voice, they become more eager and engaged in the conversation. More inclined to read what other voices say. Whether you’re a teacher or an author, getting kids to love books is a win-win. If you’re interested in doing a workshop with hundreds of enthusiastic teen writers, or just want access to tips and workshop discussions, visit the Teen Author Boot Camp website to learn more. Join the discussion here!